What’s that we see? 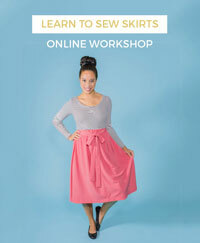 Our brand spanking new pattern, the Arielle skirt! 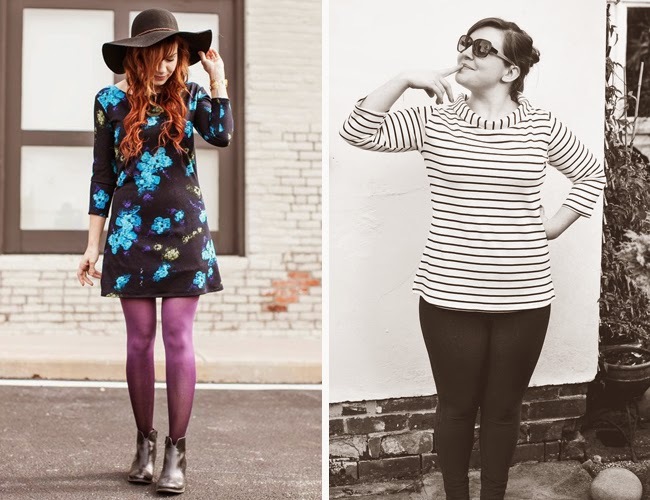 The new pattern launched just a few weeks ago, but we have seen some great Arielle’s already. 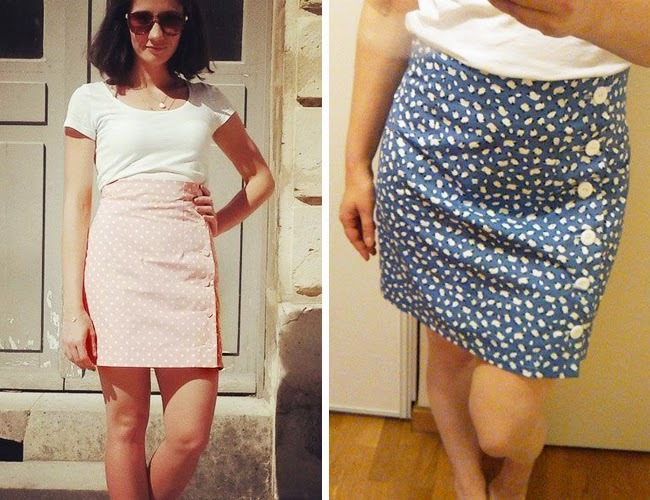 Keeping it short, are Charlou with her adorable pink polka dot version, and Emilie who has used a very cute sheep print. Yes, sheep! The longer version of the Arielle skirt makes a great wardrobe staple. Jane has also chosen denim for her Arielle, brightening up with some fun red buttons. Meg’s Arielle might look black, but close up the fabric has navy, maroon and green running through the weave. We have a huge polka dot obsession here at T&TB (it’s getting serious) and are loving Kylie’s Megan dress, from Love at First Stitch. Evi has added her own touch to her Megan dress by creating a waistband complete with pretty contrast white piping. 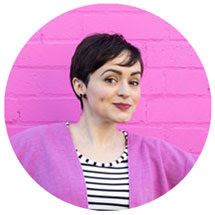 We love Katie, aka Skunkboy’s, blog and her awesome personal style. She looks amazing in her floral print Coco, which she made for an A Beautiful Mess e-course, accessorized with some fun purple tights. Amy has made the top version of the Coco with optional funnel neck in a classic Breton stripe. Who doesn’t love a bit of animal print? 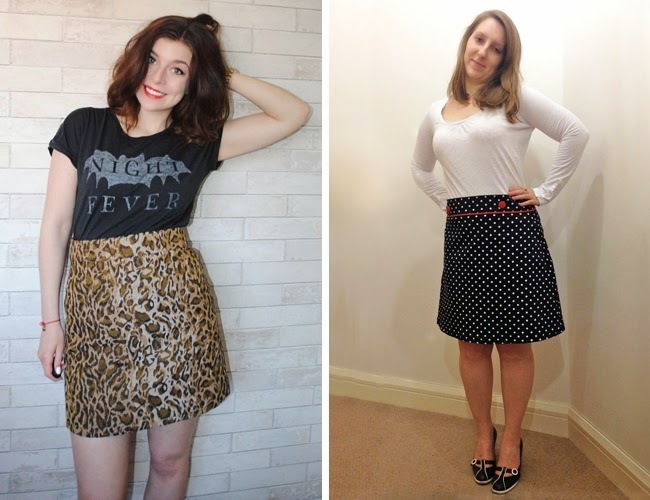 Fritha has used some super cool leopard fabric for her Delphine skirt (pattern in Love at First Stitch.) We all know men love to sew too, and Marc has created this gorgeous Delphine for his lucky girlfriend Sophie, with added buttons and piping. Cuteness! Anna has made a retro seventies-inspired Delphine skirt in denim with added button detail down the front. 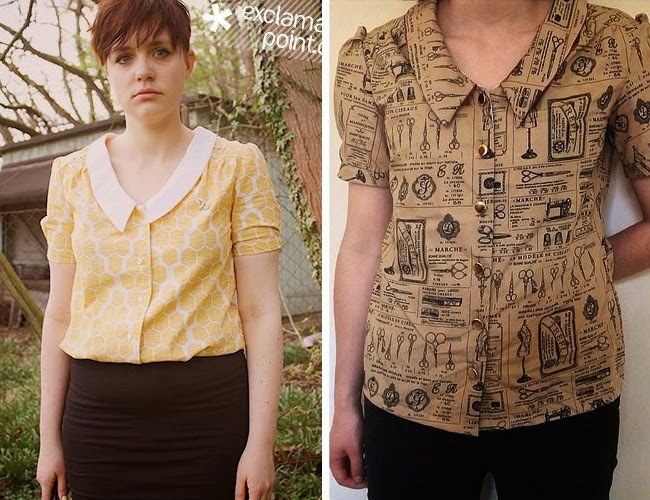 Tilly is totally going to make one just like this! 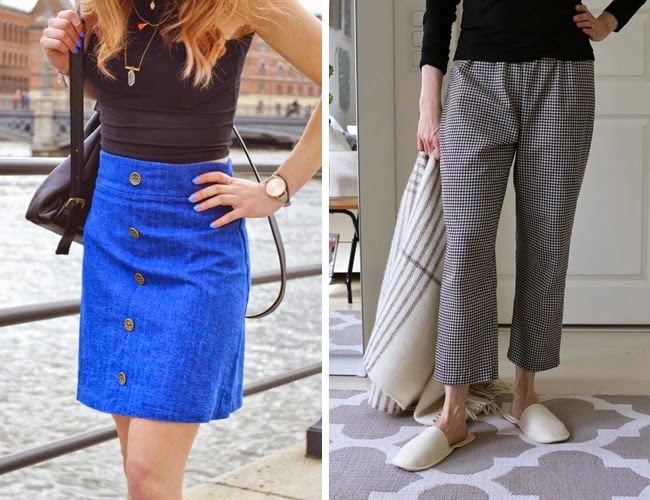 Katja has created some very stylish ‘house trousers’ using the Margot PJs pattern, also from Love at First Stitch. We want to own EVERYTHING that Sandee, aka Royalty Girl, makes as she always adds some extra creative touches. 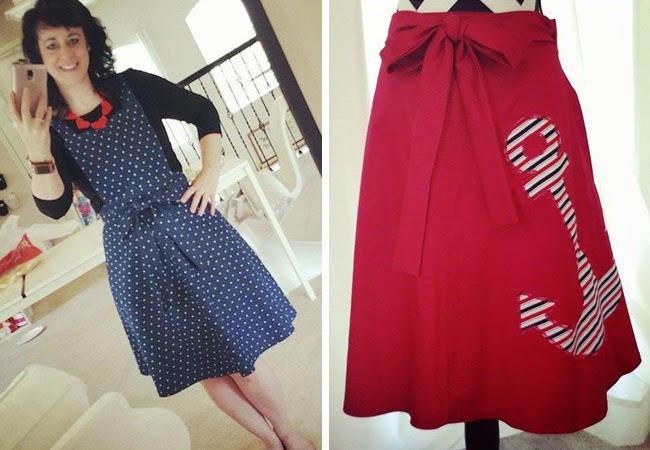 She has adapted the Miette sewing pattern into a stunning pinafore dress and has added some extra nautical charm to a red Miette skirt with an appliqued anchor. Adorbs! 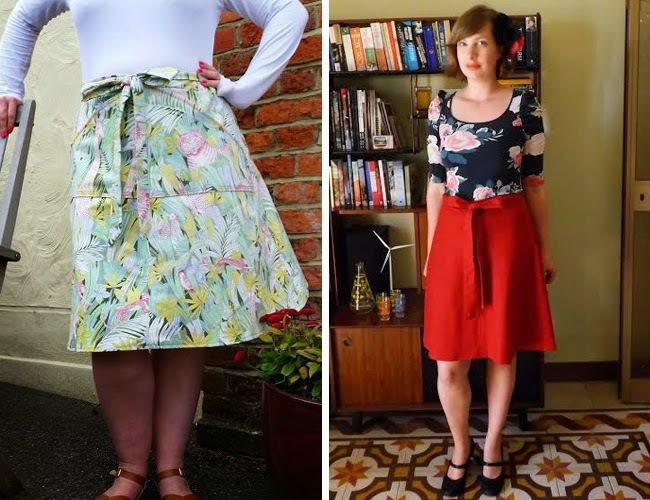 Claire has used a wild jungle print in summery pastel colours for her Miette skirt - love it. This pattern is super easy to make and a perfect project for beginners. 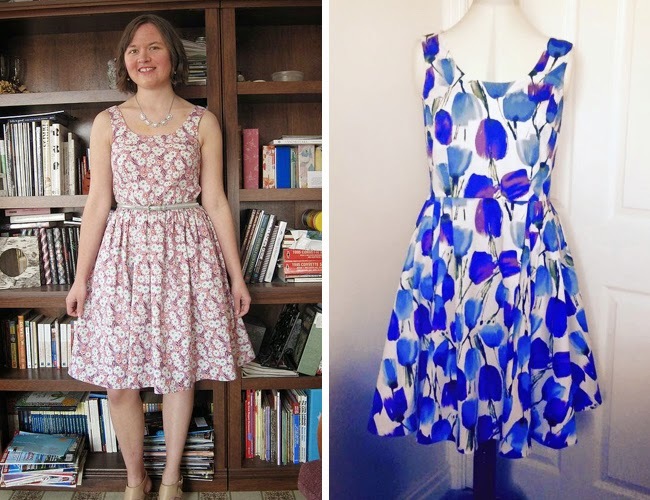 Suzanne’s lovely red Miette is her first ever dressmaking project – who would have guessed?! 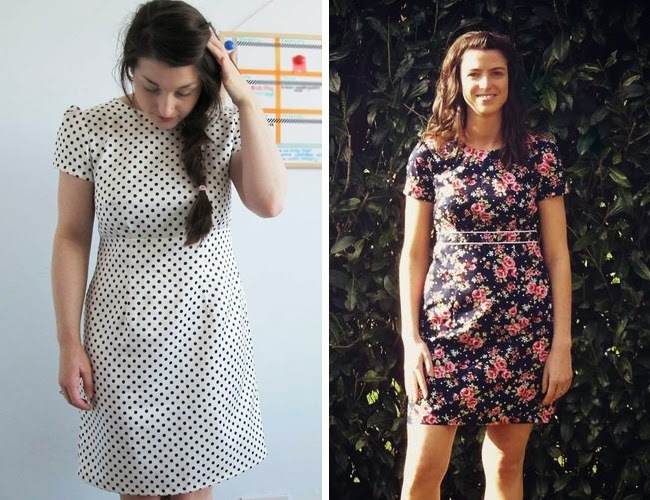 Floral prints are perfect for this time of year and look especially lovely made into a Lilou dress (pattern in Love at First Stitch). Amy has chosen a delicate ditzy pattern, while Sandra has gone all out with this bold tulip design. Beautiful! Bring on wedding season, we say. Adding special touches to your makes is definitely worth the extra effort. 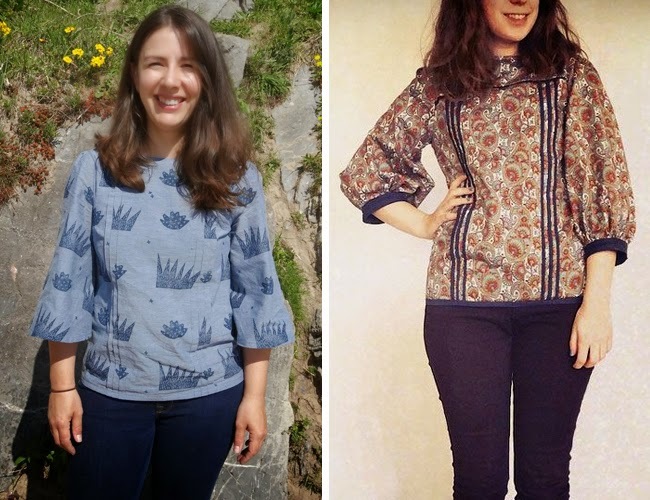 Marilla has hand-printed the chambray fabric used for her Mathilde blouse, and has chosen to leave off the cuffs. Becky has added bias binding on the tucks on her Mathilde to make them pop against the printed fabric. Last but not least, the sleeveless version of the Francoise sewing pattern is great for the warmer weather. Bianca has bound the hem of her Francoise dress to match the cute collar - we LOVE this. Lauren has also been super creative by hand-sewing some teeny tiny lace flowers over her Francoise, and has teemed it with an amazing beehive for full-on sixties chic. Soooo cute. It was sooo hard to choose just a few of your creations to post this month, so please go and check out all the other amazing makes in our Maker Galleries on Pinterest. 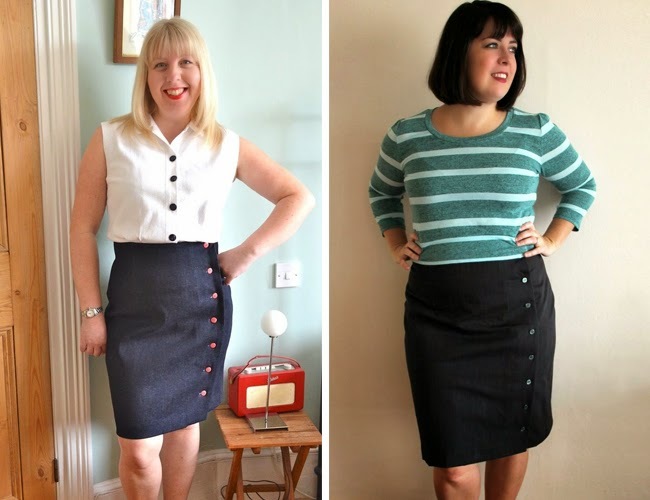 If you've sewn something with a Tilly and the Buttons pattern, send us your best photo for the Maker Gallery - you can tweet us, email us or send us a link through this page (unfortunately we can't pin from Instagram). We are very excited to see what you get up to!